Our family believes that it is important to know God and His Word. If there's an opportunity to help our family accomplish that goal, we make it a priority to take advantage of that. Most often, that comes in the form of regular church attendance and reading God's Word individually and as a family. But recently, we had the privilege to watch the Gospel of John in a feature film which is part of The Lumo Project. I took advantage of this opportunity because I felt that it would help our children to get a better understanding of Christ and his time on earth by seeing it visually presented before them as the Scriptures were narrated word for word. The creators of this film used wonderful narration combined with historical research to recreate Palestine of the First Century making it as authentic as possible in the film. This made for an interesting learning and viewing experience. It helped me get a better idea of what Christ's life was like on earth and the challenges that He faced as the Son of God. The narrated script in the film is the Word of God, word for word, unedited. 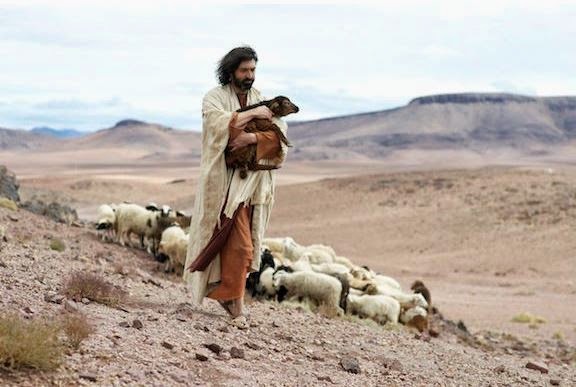 Our older children, ages 9, 7 and 5 enjoyed watching it with us as they saw the Gospel of John come to life on the screen. With the exception of a few scenes in the beginning that we thought portrayed Christ more angry than Scripture intends, most scenes were a beautiful, visual account and were well done. In my opinion, those scenes need to be discussed with children so that they have an accurate picture of Christ. We understand that Christ's message alone was divisive, no matter how He presented it, but I don't know that the way He presented truth in the Bible was as harsh as perhaps portrayed, at times, in the movie. It wasn't terrible, but I just feel that it is worth mentioning. Also, while our three children did watch it, you should know that the scene leading up to Christ's crucifixion and the actual crucifixion can be very difficult for children to handle. I did let our children watch it, but our daughter has an extremely tender heart and it was very difficult for her. We talked through it and focused on the joy at the end of the Gospel, but, depending on your child, you may want to skip that scene. As of December 1st, the Gospel of John is instantly accessible to the 36 million Netflix subscribers in North America and the other three Gospels, Matthew, Mark and Luke are underway. Further details about The Lumo Project and the filming of the Gospel of John can be found at www.lumoproject.com. 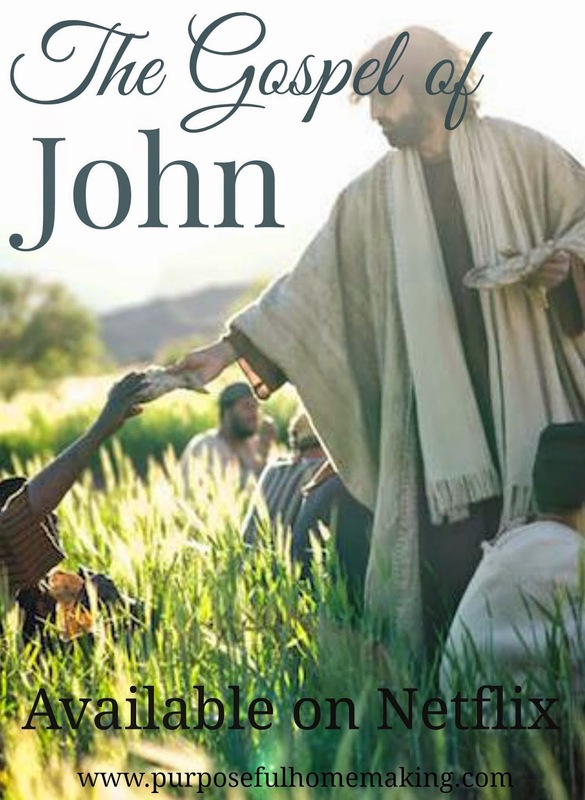 If you have Netflix, this weekend might be a great opportunity for you to watch this film as well and you can decide if it accurately portrays the Gospel of John. Thanks so much for visiting Purposeful Homemaking. I'd love for you to stay connected through the following social media such as Facebook, Twitter, Google+ and Pinterest. Don't forget to sign up for emails on my right sidebar so you don't miss anything! List Plan It-get and stay organized!